"Beer lovers increased their appreciation for American craft brewers and their beers in 2010," said Paul Gatza, director, Brewers Association. "Craft brewers' stories resonate with Americans who are choosing small, independent companies making delicious beers in more than 100 different styles." "Prohibition caused a dramatic decline in the number of breweries in the United States, but the number of breweries is now at an all-time high," added Gatza. "With well over 100 new brewery openings in 2010, plus 618 breweries in planning stages, all signs point to continued growth for the industry." Gatza added, "We also found that three percent of craft brewer barrels, by volume, are distributed in cans, confirming a growing trend." A more extensive analysis will be released on March 24 during the Craft Brewers Conference in San Francisco. 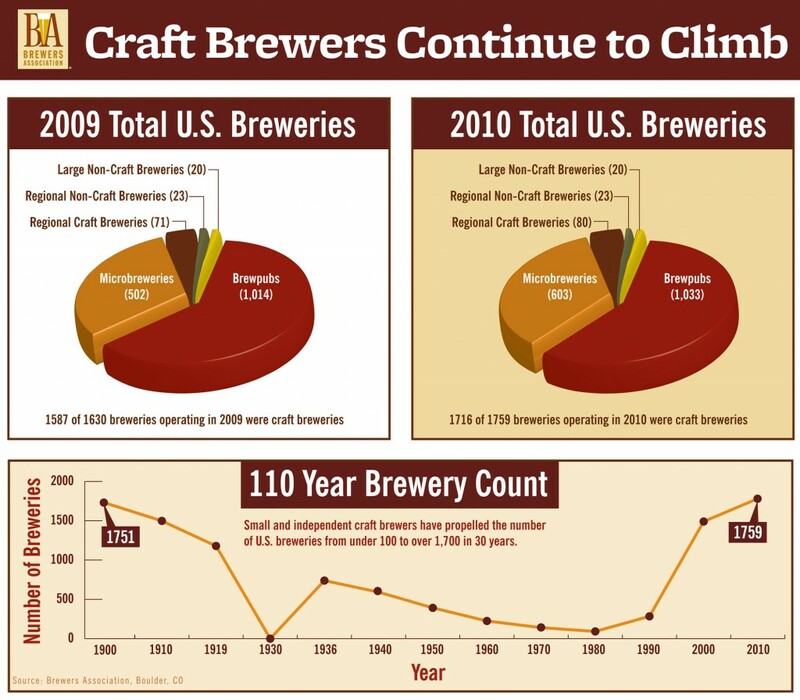 The Association's full 2010 industry analysis, which shows regional trends and sales by individual brewery, will be published in the May/June 2011 issue of The New Brewer. 3 Previous year's total adjusted due to increased 2009 data points received.